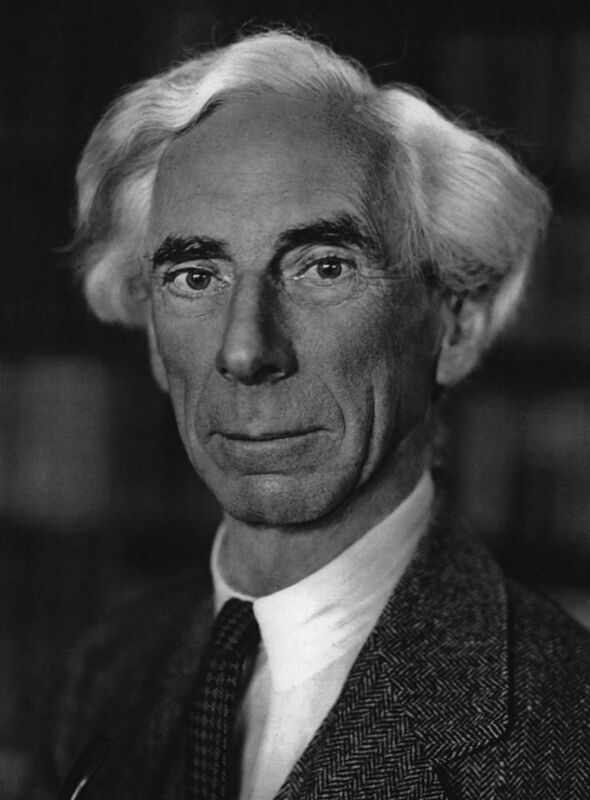 In the first video below in the 14th clip in this series are his words and I will be responding to them in the next few weeks since Sir Bertrand Russell is probably the most quoted skeptic of our time, unless it was someone like Carl Sagan or Antony Flew. Q: Why are you not a Christian? Russell: Because I see no evidence whatever for any of the Christian dogmas. I’ve examined all the stock arguments in favor of the existence of God, and none of them seem to me to be logically valid. Q: Do you think there’s a practical reason for having a religious belief, for many people? Russell: Well, there can’t be a practical reason for believing what isn’t true. That’s quite… at least, I rule it out as impossible. Either the thing is true, or it isn’t. If it is true, you should believe it, and if it isn’t, you shouldn’t. And if you can’t find out whether it’s true or whether it isn’t, you should suspend judgment. But you can’t… it seems to me a fundamental dishonesty and a fundamental treachery to intellectual integrity to hold a belief because you think it’s useful, and not because you think it’s true. For many people the above is a magnanimous and noble sounding string of words — the notion of a communion of humanity bounded only by our shared humanity, unburdened by the notion of God. For them it brings hope and freedom. However, implicit in this statement is the notion that humanity is valuable in and of itself — that humanity is valuable for no other reason than being human. The essence of this humanist statement is relationship; that a relationship solely between human beings is preferable over a relationship between God and humanity. Relationship at its core is first a valuing of the person; it is to consider the person worth the effort a relationship involves. Or, in the case of this humanistic statement, it is to consider humanity worthy of the effort and sacrifice required for such a communal relationship to exist. Humanists argue for a communal relationship between humans alone as better than a communal relationship with God. This idea starts with the facts that they value one over the other and that human life is worthy of the effort involved. But if atheistic beliefs such as humanism are true, why should any human being value their own life, let alone that of a fellow human being? Without God can atheistic beliefs claim and sustain notions such as value, let alone that humanity is valuable? While the answer to many Christians will seem intuitive, we should be able to articulate arguments in order to respond to these questions and beliefs. Human experience argues that human beings value themselves and cannot separate themselves from value. If so, it can be argued that these atheistic beliefs are inadequate foundations for such a deep-seated need on two fronts. One, it can be shown that they are philosophically motivated statements of faith. Two, it is arguable that without God, humanity simply has no legitimate claim to value. 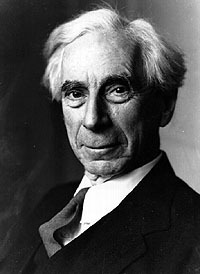 Philosopher Bertrand Russell wrote in 1902, “That Man is the product of causes which had no pre-vision of the end they were achieving; that his origin, his growth, his hopes and fears, his loves and his beliefs, are but the outcome of accidental collocations of atoms; that no fire, no heroism, no intensity of thought and feeling, can preserve an individual life beyond the grave; that all the labors of the ages, all the devotion, all the inspiration, all the noonday brightness of human genius, are destined to extinction in the vast death of the solar system, and that the whole temple of Man’s achievement must inevitably be buried beneath the debris of a universe in ruins — all these things, if not quite beyond dispute, are yet so nearly certain that no philosophy which rejects them can hope to stand.” Then, stunningly, Russell concludes, “Only within the scaffolding of these truths, only on the firm foundation of unyielding despair, can the soul’s habitation henceforth be safely built” (Russell, p. 3). In 1971, Biochemist Jacques Monod wrote, “Man must at last wake out of his millenary dream and discover his total solitude, his fundamental isolation. He must realize that, like a gypsy, he lives on the boundary of an alien world; a world that is deaf to his music, and is indifferent to his hopes as it is to his sufferings or his crimes” (quoted in Colson, p. 225). The dark tone of these atheistic pronouncements is undeniable. These men hold to a belief they acknowledge as futile. In the end all human endeavor, struggle, and advancement ends in meaningless extinction. It is utterly void of value that transcends this existence. Many people will say this end is in the too distant future to be relevant to them. But death is not far off for any of us and if this belief is true the death of a person may as well be the final end of all things. The majority of people are not remembered past one or two generations before their “person” vanishes from the human landscape altogether. All that is left is the impersonal and voiceless effects of their life that may linger for a few more generations or, at best, ripple down through the ages to end in the futility of universal extinction. This is why intuition causes many of us to ask, “With all human activity set against ultimate futility, what value is there in any human activity whether it is remembered or advancing humanity?” Unquestionably, these apostles of atheism recognize the utter futility in their belief, but they are willing to accept it. Are the rest of us willing to do so? If the atheists own testimonies are so bleak, should we accept that their testimonies are true on blind faith? The first premise of the argument is that atheism is a philosophically motivated statement of faith. To be sure these folks seethe at the very mention of such suggestions. They emphatically deny their belief is, in any way, a faith. But notice, importantly the quotes lack scientific fact. Such quotes are often said by respected scientists and thus, almost unperceived by the audience, the nod of scientific authority is attached to these statements. In his autobiography on his journey from atheism to Christianity, C. S. Lewis writes, “You will understand that my rationalism (naturalism/atheism) was inevitably based on what I believed to be the findings of the sciences and those findings, not being a scientist, I had to take on trust — in fact, on authority” (Lewis, Surprised, p. 97). Lewis is saying that someone whom he considered an authority on the subject told him science has all but proven naturalism, thus by implication disproven supernaturalism, religion, and spirituality. Thus as a reasoning person he had to accept their testimony on the subject as authoritative. C. S. Lewis went on to discover that these authorities were masquerading philosophy for science and such claims are simply unjustified posturing. The persuasive power of their argument can be great on an unsuspecting public when well-credentialled, respected atheists unjustly usurp science to overstate their case. Arguably the most damaging fact against those who push the view that science has all but disproven the supernatural is the fact that many scientists, including a lengthy list of Nobel Prize recipients, adopt beliefs of faith over naturalism. Naturally one would expect such pessimism to lead to a nihilistic view of life — that life has no meaning or purpose. But Dr. Richard Dawkins, an evolutionary biologist and leading atheist seems to think this should not be the case. He writes, “The universe we observe has precisely the properties we should expect if there is, at bottom, no design, no purpose, no evil and no good, nothing but blind, pitiless indifference” (Dawkins, p. 133). Such a view is apparently no reason to see life as valueless and pointless for Dr. Dawkins. Skeptic magazine hosted an interview with Dr. Dawkins. The interviewer referenced the above quote and likened it to Shakespeare’s “a tale told by an idiot, filled with sound and fury, signifying nothing.” Dawkins’ responded, “Yes, at a sort of cosmic level, it is. But what I want to guard against is people therefore getting nihilistic in their personal lives. I do not see any reason for that at all. You can have a very happy and fulfilled personal life even if you think that the universe at large is a tale told by an idiot” (Miele, p. 5). Although I’ve since validated these quotes, I am indebted to Jill Carattini for her article “First A Story” where I first saw them together. If atheistic humanism is true, a few questions arise concerning Dr. Dawkins conclusions. Dawkins makes the assumption that to have a “very happy and fulfilled personal life” is better then nihilism. But what warrants such an assumption in such a bleak view of the universe? Dr. Dawkins’ assumption is derived from value judgments about human life — that life “ought” to be valuable and is thus worthy to be happy and fulfilled. But a purposeless universe simply has no regard for such “oughts” and values. Dawkins acknowledges this fact only a few sentences before when he writes the universe has “at bottom, no design, no purpose, no evil and no good, nothing but blind, pitiless indifference.” There is no free lunch. If the universe is an accident, has no purpose and is indifferent to all things, it follows that the universe is indifferent to distinctions of value, i.e. it is valueless. In a valueless universe what grounds are there for value statements like “life is valuable” and “life is not valuable” or “good is better than evil?” In Dawkins and company’s view of the universe we simply have no grounds to appeal to a fundamental principle that anything, let alone human life, “ought” to be valuable. Notice this is not asking, “Why do we value?” It asks a very different question, “Why should we value?” This is the crux of the problem with atheistic philosophies. Dawkins believes there is no reason to give into nihilism in the face of a pitiless, indifferent universe. But in his valueless universe why determine one state of mind as “better than” another state of mind? Why do we know which one is really better than the other? If we say it is because we feel one way or the other, truth becomes predominantly a function of emotion and is extraordinarily subjective. No matter how adamantly the atheist denies it, for such questions to be answered with any legitimacy and authority the universe must fundamentally possess value and purpose, something an accident simply cannot bestow. If the universe is nothing more than a mere accident, then we, being part of it, are also nothing more than mere accidents. No matter how grand the accident, there simply is no rational judgment for or against assuming nihilism is better or worse then being happy and fulfilled. To say it is a grand and miraculous accident is ludicrous. What is cognizant life apart from value, meaning, and purpose? The question is not, “Why do we make value judgments?” Simply put, no human being can escape making them. If naturalism is true, the question is why valuing anything is so deeply human. It is the very notion of a valueless universe that Dr. Dawkins’ mind simply will not accept. In the face of his utterly hopeless universe he manufactures purpose and meaning for his being. He manufactures value for himself. It takes very little attention to see that such value and purpose is truly subjective and meaningless. If naturalism is true, cognizant life is the cruelest joke ever played. It is this “oughtness” that is fundamentally woven into nature and existence — that human life ought to be valuable — that demands both an intellectual and emotionally satisfying answer. What would life be like if we, at our most fundamental levels, did not think life is valuable? Why do we fight for human rights? Why is it our tendency to elevate the value of animal life to be equal with humanity instead of devaluing humanity to be equal with animal life? If naturalism is true there is no rational judgment for thinking the cloud of atoms making up a person is more or less valuable then a cloud of atoms making up the rock the person may be sitting on. The opening sentence of this essay is the title of an article that states 12 tenets of Humanism. The first two tenets are, “First, that Nature or the universe makes up the totality of existence and is completely self-operating according to natural law, with no need for a God or gods to keep it functioning. This cosmos, unbounded in space and infinite in time, consists fundamentally of a constantly changing system of matter and energy, and is neutral in regard to man’s well-being and values. Second, Humanism holds that the race of man is the present culmination of a time-defying evolutionary process on this planet that has lasted billions of years; that each human being exists as an inseparable unity of mind and body, and that therefore after death there can be no personal immortality or survival of consciousness” (Lamont, p. 1). The fathers of atheism understand the bankruptcy in these elegant and lofty sounding words. Jean-Paul Sartre expresses, “Atheism is a cruel, long-term business; I believe I have gone through it to the end” (quoted in Guinness, p. 134). However, my experience leads me to believe that the majority of people hold a more uninformed acceptance of such notions. One of my most telling experiences occurred when I attended an invitation-only lecture on the evolutionary rise of morals hosted by North Carolina State. The presenter was a world renowned researcher in his field of study. The room was full of Ph.D’s from the related fields. A question and answer period followed the presentation in which I asked why I should accept such a view when it is dependent on Supervenience. To the presenter’s credit, he knew what Supervenience is. But this world renowned leader in evolutionary theory anticipated something about his colleague’s knowledge, because he asked the room if they knew what Supervenience meant. To my astonishment the vast majority had never heard the term. Yet Supervenience is the leading explanation for human personality and mind in evolutionary thought. The best that evolutionary thought has delivered to date to explain humanity’s very personhood is a tenuously held and likely unprovable hypothesis that is apparently little known among evolutionary academics. 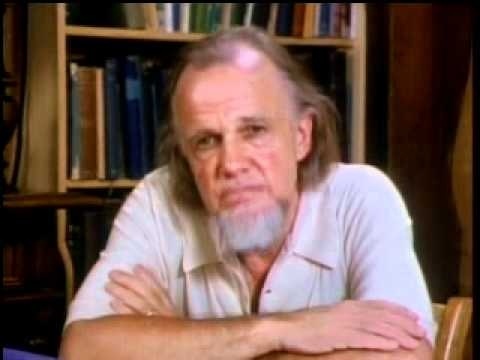 After completing a survey of western society and thought, the twentieth-century theologian and philosopher Francis Schaeffer wrote, “Man beginning with his proud, proud humanism, tried to make himself autonomous, but rather than becoming great, he had found himself ending up as only a collection of molecules — and nothing more.” He then goes on to say, “Beginning only from man himself, people affirm that man is only a machine” (Schaeffer, p. 164). This truth was profoundly personal for C. S. Lewis. He wrote of his struggles and emotions caused by the death of his wife, Helen Joy, from cancer, “If H. ‘is not’ (now that she is dead), then she never was. I mistook a cloud of atoms for a person. There aren’t, and never were, any people” (Lewis, A Grief, p. 28). I close with a quote from my own book, “This is the dichotomy in our existence. We rail against God to be our own, rejecting His claim to us. In so doing, we also give up His higher purpose and reason for humanity, leaving us free to claim ourselves, yet we cannot live coherently with the hopelessness of that rejection. In short it states, ‘I am my own,’ and then relentlessly asks, ‘But what am I?’ ” (Billington, p. 25). Billington, John. An Account of Hope: Christian Faith in an Age of Relative Truth and Religious Pluralism. Mustang: Tate, 2007. Colson, Charles, and Nancy Pearcey. How Now Shall We Live? Wheaton: Tyndale, 1999. Dawkins, Richard. River Out of Eden: A Darwinian View of Life. New York: Basic Books, 1995. Guinness, Os. Unspeakable: Facing Up to Evil in an Age of Genocide and Terror. New York: HarperCollins, 2005. Lamont, Corliss. The Humanist. 1971. “Humanism Promotes Communing with Humanity, Not God”. Lewis, C. S. A Grief Observed. New York: HarperCollins, 1996. Lewis, C. S. “Surprised by Joy”. The Beloved Works of C.S. Lewis: Surprised by Joy/ Reflections on the Psalms/ The Four Loves/ The Business of Heaven, The Inspirational Christian Library. Miele, Frank. “Darwin’s Dangerous Disciple.” Skeptic 1995: 4-5. Academic Search Premier. EBSCO. Eva H. Perry Regional Lib. Apex NC. 19 Mar. Randall, John. The Making of the Modern Mind: Fiftieth Anniversary Edition. New York: Columbia University Press, 1976. Russell, Bertrand. “A Free Man’s Worship” Philosophical Society.com. Tim Ruggiero, 24 Mar. 2009. Schaeffer, Francis. The Three Essential Books in One Volume Trilogy: The God Who Is There, Escape from Reason, He Is There and He Is Not Silent. Wheaton: Crossway Books, 1990. Schmidt, Mark Ray. Constructing a Life Philosophy (Opposing Viewpoints Series). San Diego: Greenhaven Press, 2002. Opposing Viewpoints Resource Center. Gale. Central Carolina Community College Lib. 6 Apr. 2009. Back to Contents Does God Exist?, MarApr12. 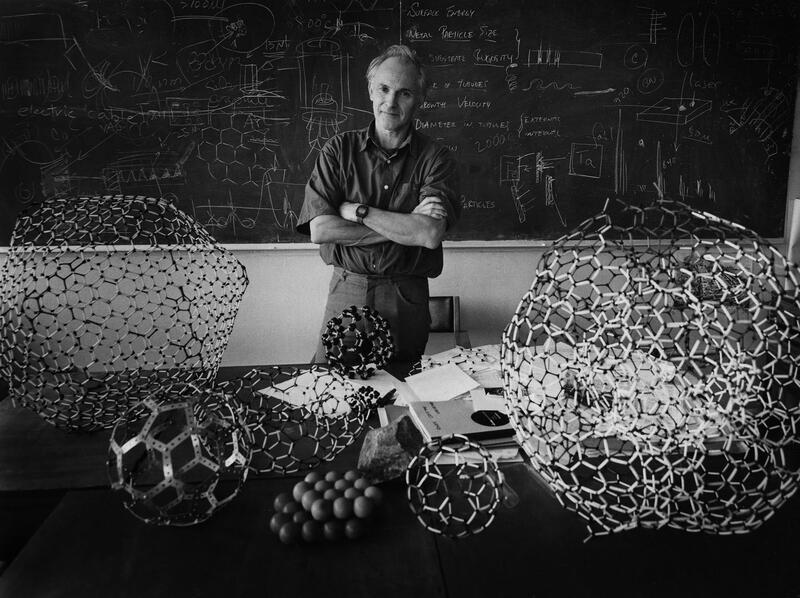 RESPONDING TO HARRY KROTO’S BRILLIANT RENOWNED ACADEMICS!! Part 52 The views of Hegel and Bertrand Russell influenced Gareth Stedman Jones of Cambridge!! WOODY WEDNESDAY John Piippo makes the case that Bertrand Russell would have loved Woody Allen because they both were atheists who don’t deny the ramifications of atheism!!! John Piippo makes the case that Bertrand Russell would have loved Woody Allen because they both were two atheists who don’t deny the ramifications of atheism!! !